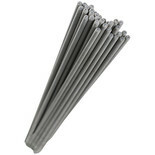 Clarke welding electrodes 2.5mm dia, 5kg pack. Clarke welding electrodes 2.0mm dia, 5kg pack. Clarke welding electrodes 4.0mm dia, 5kg pack. 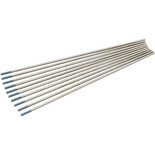 High quality WL20 2% Lanthanated Tungsten (Sky Blue) welding electrodes. Pack of 10. Also available in 2.4mm dia 175mm lengths. High quality WL20 2% Lanthanated Tungsten (Sky Blue) welding electrodes. Pack of 10. Also available in 1.6mm dia 175mm lengths. 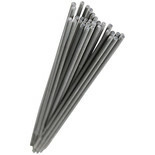 High quality WC20 2% Ceriated Tungsten (Grey) welding electrodes. Pack of 10. Also available in 2.4mm dia 175mm lengths. 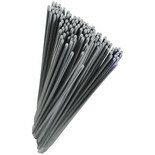 High quality WC20 2% Ceriated Tungsten (Grey) welding electrodes. Pack of 10. Also available in 1.6mm dia 175mm lengths. 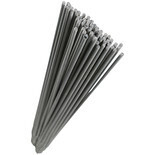 Clarke welding electrodes 1.6mm dia, 5kg pack.